Housemarque reveals new details on its upcoming top-down shooter. Hello from Housemarque! 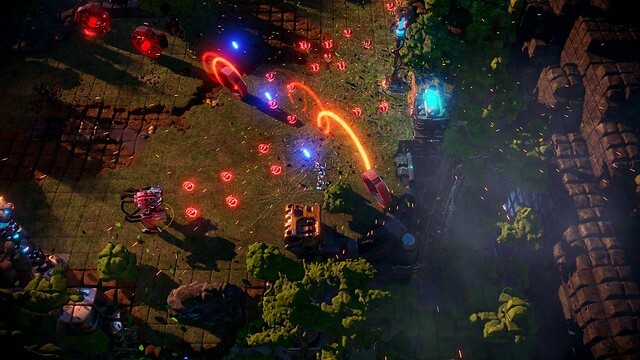 We have a few new updates on our next top-down shooter, Nex Machina. We’re announcing three new things: the season structure, challenges, and replay mode. On top of the core game experience such as standard arcade and level modes, we want to create a more competitive environment for our players to interact in. Lasting a specific amount of time (weeks or months), during the seasons you have an option to gain Ranks, Experience Points, and Season Coins — and compete against your friends on the leaderboards. Seasons also have their own set of different challenges for making your gameplay experience a lot more skill-based and long-lasting. Nex Machina has been structured so that all of the defining parameters of gameplay are listed in these so called game rules, which then will be mixed and matched to create slightly different game experiences. One example is the game speed, which can be adjusted to be twice as fast to really test how long you can survive — or you could have a challenge with enemy revenge bullets meaning that all the enemies would start spawning those, adding a new layer of reactive gameplay. Replay mode has been built into the game mainly for the community, allowing you to see other players runs and learn what makes them so good, which techniques they are using, and how do they approach and address difficult but rewarding situations. All of the leaderboard entries are effectively recorded, which means it’s possible to enter the leaderboards, select an entry, and watch the replay. We are quite proud that Nex Machina is a very demanding game since it requires a lot of skillful playing. There are a lot of secrets, a lot of things to uncover, and a lot of depth in the scoring system. Because of all of these layers you could otherwise end up with a lot of unanswered questions, but instead of having players search for answers online, we’d really like to encourage the extension of the experience to be integrated into the game. So look forward to playing the next shooter from Housemarque this Summer! This all sounds great and really will feed off the arcade nature of the game. Already have this preordered after playing the demo at Best Buy and loving all of the Housemarque games. Super psyched and hoping we are talking June summer rather than August summer. I’m excited for this and it looks cool. Are we going to hear anything about MatterFall soon? I’ve wanted to know more about MatterFall since it was announced! PLEASE! Resogun really nailed the old-school appeal of finding and sharing secrets, strategies, tricks, etc. I usually don’t get into leaderboards and arcade-y competition, but I had so much fun with Resogun – trying to raise my skill level, then watching the top players do their own epic runs – that I won’t be surprised if Nex Machina grabs me in the same way. Housemarque also did a great job supporting the game after launch, keeping things fresh, mixing it up, and changing the formula for new modes. It was cool seeing it evolve. I’m always excited for a Housemarque game! I was INCREDIBLY pumped for Alienation, but that game was kind of disappointing. It was fun in the beginning but it pretty quickly lost steam. Maybe too much time was spent developing the upgrade/loot side of the game and not enough time was spent on different environments or more diverse enemy types. Gameplay in general is what makes a Housemarque game! I hope in this new one they look at games like Hell Divers and take some queues from that. Super tight gameplay with a large diversity of maps and enemies is what will keep us playing. I can’t wait to play this title! And…It’s being ported to VITA! Right!? Right!!!??? Seriously though, this game would be great on PSV. It’s still my ideal way to play Dead Nation when not with a coop buddy of mine. Nice to see the Housemarque love here in the comments. We are aiming for Summer 2017 launch, hopefully sooner than later. And yes, you can test the game now at your nearest PS4 demo kiosk. I loved playing this at PAX. Hurry up and release it so I can give you my money. Best game I saw at PSX2016. Can’t wait! Hope we they make the soundtrack available for purchase or stream online (Spotify). Can’t wait for it…Housemarque=Insta Buy!! 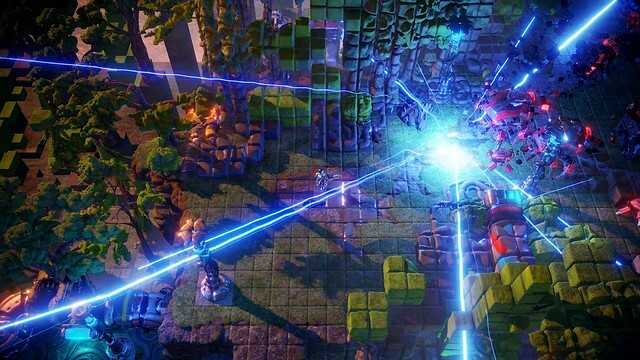 PS:Nex Machina is as if Resogun and Dead Nation had a baby lol,how could this go wrong?